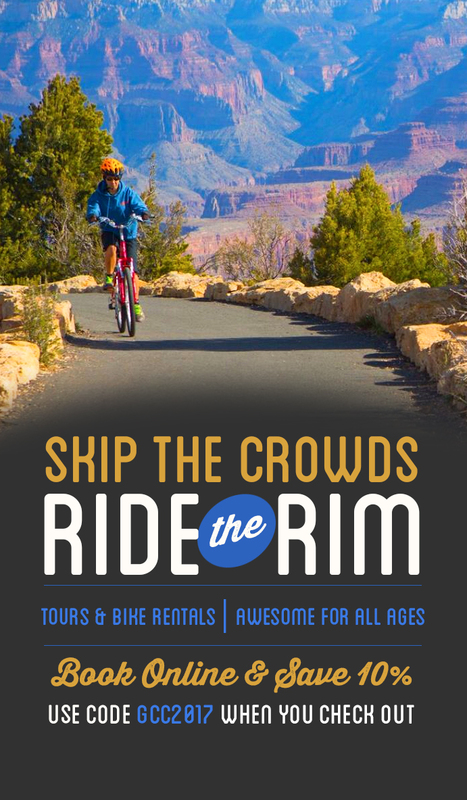 Grand Canyon locals, when asked about their favorite way to enjoy the park, may respond with a funny little rhyme: half the park is after dark. Heat is the most significant health risk within the canyon, and hiking after nightfall mitigates that risk. Hikers brave enough to enter the canyon after dark will also be treated to a number of hidden night time treats, including wildlife like bats and the elusive ringtail cat. 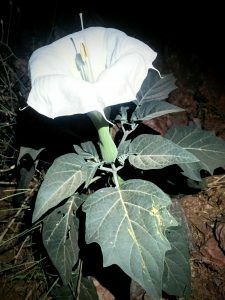 One of the most striking encounters a lucky hiker can have is with the sacred datura, a mystical flower that only ever blooms at night. The flowers are white and have five symmetrical petals. They grow throughout much of the southwest between 6,000 and 1,000 feet in elevation (1,800m – 300m). Upon seeing a blooming sacred datura for the first time, a friend once told me he thought moon flowers only existed in poems. But the flower is more than just a pretty sight. As its name indicates, sacred datura is a religiously important plant for several groups of Native American people. It is also highly poisonous; if you encounter this plant you may want to touch or smell its delicate leaves and petals, but do be careful to thoroughly clean any part of your body that may come in contact with it so as not to accidentally ingest trace amounts of toxic alkaloids that are present in all parts of the plant. Stumbling upon sacred datura is a surreal and somewhat otherworldly experience, like spotting a ghost. It’s just one one of many strange and wonderful natural gifts that Grand Canyon has to offer.